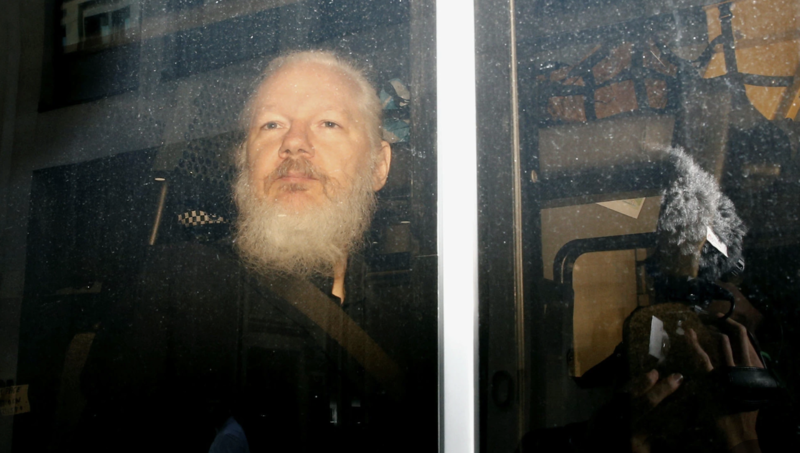 To recap: Prosecutors surprised Assange's supporters when they revealed in their extradition warrant that, rather than pursuing him on espionage charges, or charges related to Wikileaks' publication of the classified documents, only one charge had been levied against Assange: conspiracy to hack a government computer. However, Assange never succeeded in cracking the password, at least not as far as prosecutors are aware. What he did allegedly do was conspire with Manning to transmit the documents she had succeeded in stealing, while - and this is key - encouraging Manning to turn over more documents when she expressed reluctance. To support its case, the government has obtained chat logs from March 2010 showing Manning communicating with a mysterious individual who alternatively went by the handles "Ox" and "pressassociation". The government believes this user was Assange. After transmitting hundreds of thousands of war logs from Iraq and Afghanistan and detainee assessment briefs from Guantanamo Bay, Manning said her stash of secret documents had run dry. To which her co-conspirator replied: "Curious eyes never run dry in my experience." "During my conversation with Nathaniel, I asked him if he thought the DABs were of any use to anyone. Nathaniel indicated, although he did not believe that they were of political significance, he did believe that they could be used to merge into the general historical account of what occurred at Guantanamo." Manning added: "After this discussion, I decided to download the data." As for how they intend to conclusively prove that Assange was the individual who corresponded with Manning on the Jabber chat service they were using...well...that hasn't yet been revealed. As the Assange's legal team prepares to fight extradition, Manning is still sitting in a Virginia jail, after spending a month in solitary confinement, for refusing to cooperate with a grand jury, a tactic that the government is using to try and coerce answers out of her. But if there's one takeaway from this case, it's that the charges aren't what's important, as Tulsi Gabbard so eloquently pointed out.